Why did I have you divide your summer idea board in half? 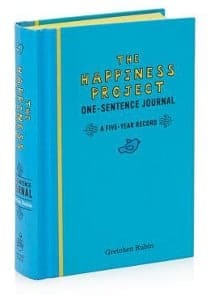 It’s like a gratitude journal for your whole family. This is particularly powerful with a summer bucket list because research shows spending time thinking about the things that make you happy actually makes you even happier. It works on kids too. Children who regularly look back on positive experiences are happier, more optimistic, and get sick less often. For our idea board, we put things we want to do in the sky. Then when we do them, we move the card or sticky note to the grass – our done list. At dinner every night, we reflect back on the day and the fun stuff we did. If we didn’t already have something we did on our idea board, we’ll make a new card or sticky note and put it directly in the grass. As the summer marches on, I know I’ll start to get anxious that we’re not doing enough. That I’m not giving the girls the most perfect summer possible. I’ll remember. I’ll smile. And I’ll be ready for our next summer adventure. 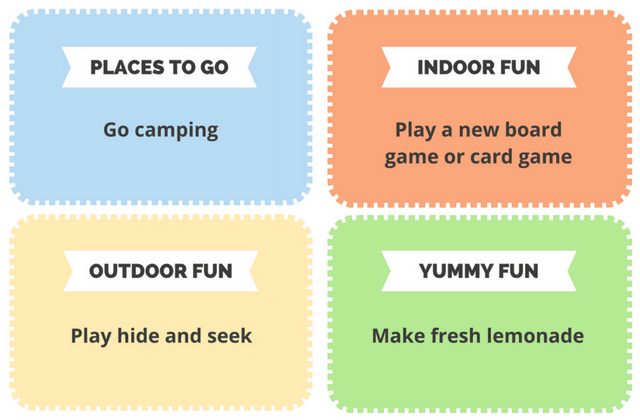 Use these free printable cards to get ideas for your own summer bucket list for kids. Download the free printable. Join my weekly-ish newsletter and as a bonus, you’ll get the printable! Just click here to download and subscribe. Print. Any paper will do the trick, but card stock would be nice and sturdy. Spread the cards out on the table and ask your kids which summer bucket list ideas they want to do this summer. Use pushpins or tacks to post the cards they pick on your summer bucket list. Pop the cards into an empty bowl or mason jar, put it on your dining room table, and tell the kids to pick a card when they’re bored. What’s a must-do on your summer bucket list for kids every year? Share in a comment below! This makes me miss having small children to enjoy the summer with. But I DO have a granddaughter—-I think we should go out for ice cream!!! And I hear you on the Pinterest pressure. I love, love, love Pinterest but goodness…sometimes there are just TOO MANY good ideas! I hate summer bucket lists just because a bucket list actually has to do with death. However I love your ideas!! I have decided that part of the magic of summer is to have unplanned, carefree days and having a list or board will take away from that for me. Oh, well. I love seeing what ideas people come up with on their lists though. Thank you for sharing at Sharing Saturday! Carrie, you make a very good point about bucket lists! It is kind of morbid when you stop to think about it, haha. Emma, I’m glad you like the idea board approach! You hit the nail on the head – it’s fun to read summer bucket list ideas, but after a while, they start to feel like another obligation. Jacquie, I love your approach to “unfinished” lists. It reminds me of a someday/maybe list from the Getting Things Done book. 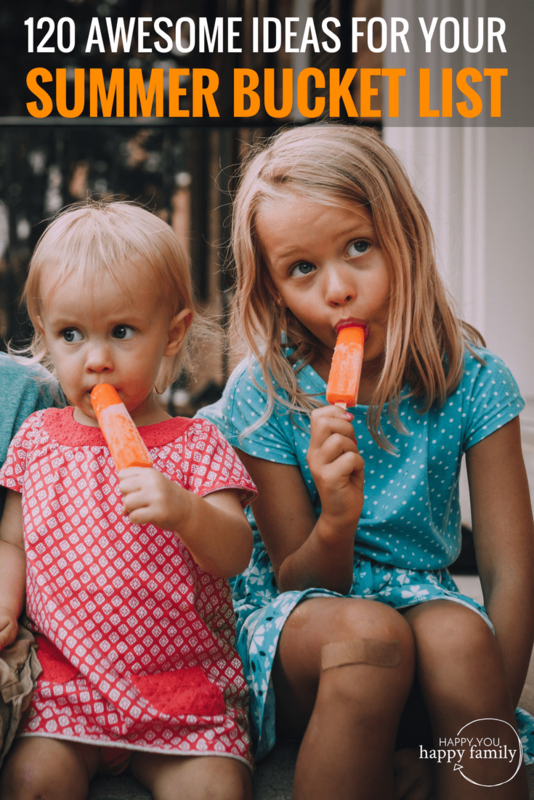 Thank you for the opportunity to share on the Discover & Explore summer linky, and thank you for stopping by to comment too! Ha – I thought I was the only one who finds those summer bucket lists a chore!